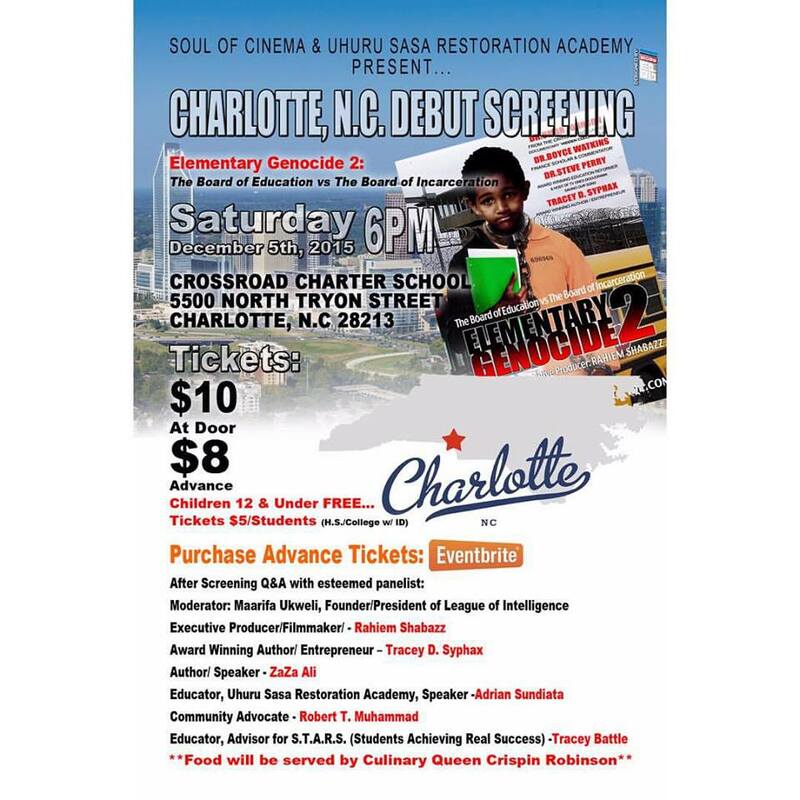 #‎ElementaryGenocide2‬ Debut Screening in Charlotte, N.C. Presented By Soul of Cinema & Uhuru Salsa Restorative Academy on 12/5 Get tickets now. Last event sold out quickly.